This was Lisa Lisa and Cult Jam with Full Force's first record and was released in 1984. 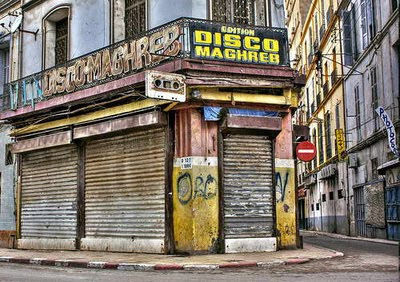 It was released on a European label as a single and was featured on the compilation album Breakdancing. In 1985, their first full length came out and it was a big success. LL&CG along with production by Full Force was a winning combination and led to the team dominating pop radio throughout the 80's. 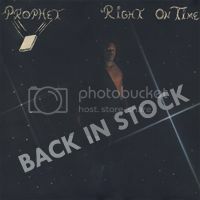 A seriously deep black wave/synth boogie record here from San Francisco circa 1984. Everything about this LP from the crusty production to the sleeve is just so dusted and killer. If you live in the Bay Area and spend enough time in the thrift stores, you might just dig up this private press gem on Treasure Records. 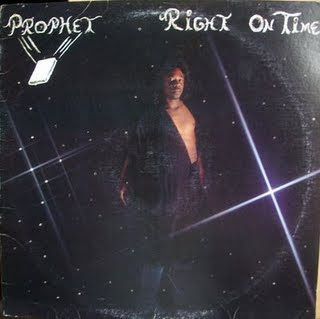 Prophet the artist faded away into obscurity after the release of this LP, never to be heard from again. Here are a few of the LP's Highlights. This image was taken from a Korg trade publication from the early eighties. 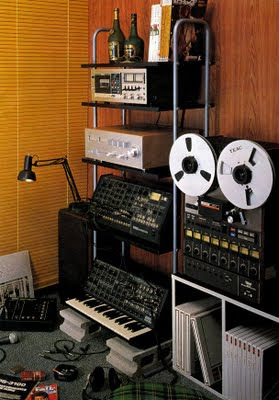 This is how they envisioned a sophisticated gentleman's living room should look like, your Korg synths up on breeze blocks, your Korg brand reel to reel machine, a shelf of quarter inch tapes for your listening pleasure, and a couple of bottles of fine cognac. Its odd how spot on they got it, how forward thinking Korg's marketing team were to have predicted successfully that one day every bachelor's living area would look exactly like this. I know mine does more or less, except I have hardwoods, a signed Nagel print up on the wall and beanbags stuffed with coke ridden hundred dollar bills for my guests to sit on. 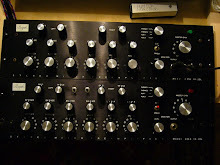 I was in my Korg inspired living room listening to some modern track with a vocoder on the vocal line. I'm not saying anything against vocoder vocals, saying they are played out is like claiming a guitar or piano is played out, they have been on lots of records since the dawn of time too, I don't think using a vocoder is necessarily gimmicky, just should be used a little more sparingly perhaps. What do I know anyway, like I said before I'm not Beethoven, but it did inspire me to try and record a few under appreciated and under the radar vocoder jams from the device's (first) heyday, when a vocoder wasn't a default plugin in your download from a Russian torrent site, but instead was a about half the size and weight of a small car engine and likely to cost you twice as much.. I didn't do very well though, I only managed two before the dust from my epic crates started to make me sneeze and I gave up..
Who are these mysterious Wizardz? Here we have a very hard release entitled Boogie Slyde from the year 1984 that has been floating around the internet for a few months. 1984, eh? It was pretty much unheard of for an obscure funk group to do an instrumental only one sided 12" in the early 80's as they would be trying to push an A side vocal to get radio play. Still, I can see how one could be confused by such a heavy hitting and authentic sounding cut. It was almost a bit painful to watch some people spend top dollar for this joint on ebay for a minute there. That being said, there aren't too many of these babies floating around so it might just be worth it. Don't blame Disco Tom for keeping this release on the sly, he finally just received his personal copy from the head Wizard only yesterday and he played guitar on this record! 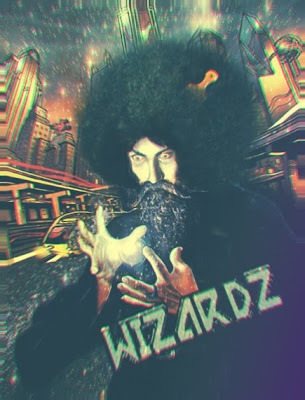 A shout out to Sheela for the wizardz image as well as the fresh new BE logo. This is my favorite song about gay male prostitution. 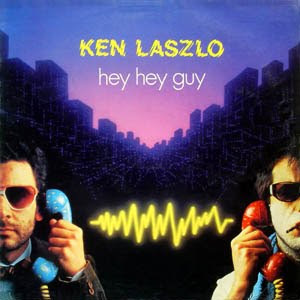 It was produced by Alessandro Zanni in 1984 and was Ken Laszlo's first record. Zanni produced a lot of my favorite italo hits including those by Baby's Gang, Hipnosis, Cyber People, and Koto. The strange subject matter and the non-decipherable beginning give a lot of charm to a well produced textbook italo-pop track. This is the original remix on Memory Records. There is also a cheesed out US remix out there that is a little too macho. No complaining that I don't know what these are. No whining about early cut offs or janky recording. 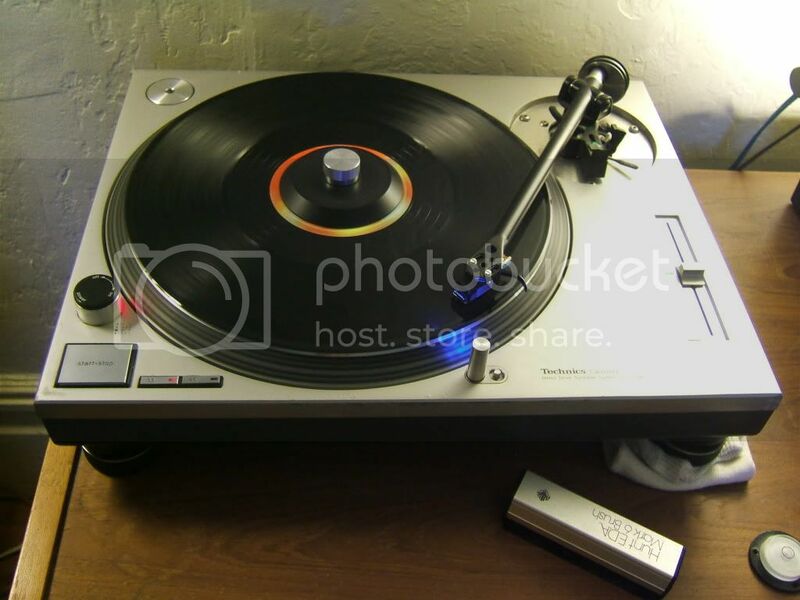 Here are over a thousand recordings of 45's made by a record dealer over the past few years since he started selling online. Lots of pricey rare stuff in here, some standards too. 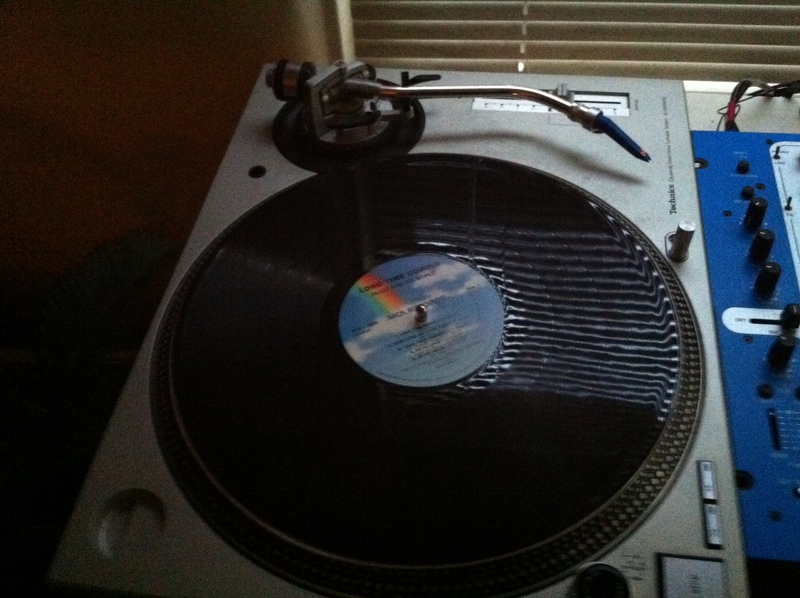 Its mostly soul, but there is some funk, boogie and disco in there as well. I haven't even dented it yet, so if you find something that stands out please post it in the comments so we can start cataloging the gems.